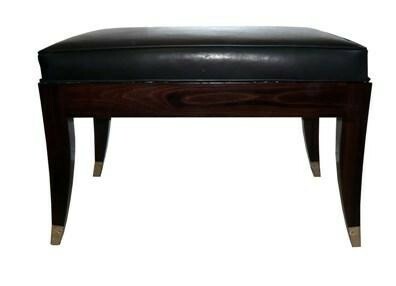 A charming little Ruhlmann seat in black leather and Walnut. We tapered the legs, the same as the original, and have added silvered bronze sabots to each leg. The leather features piping around the top and bottom.